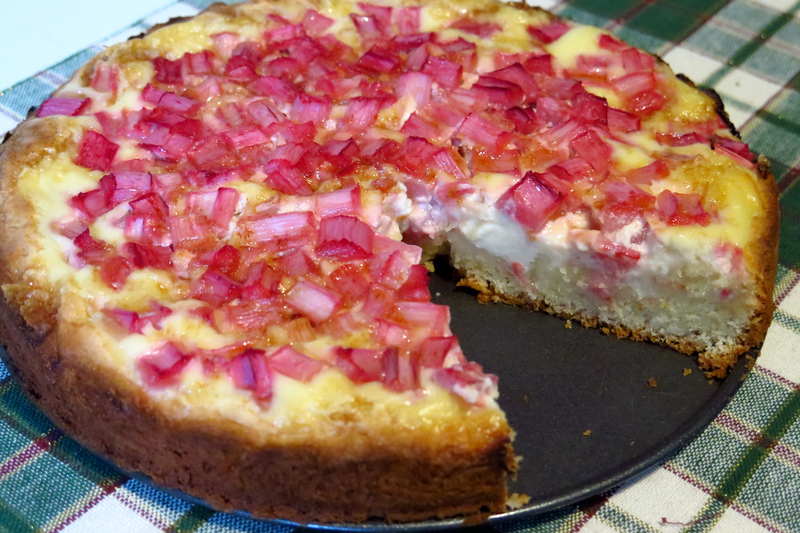 This is the season and I have a huge hunger for rhubarb this spring and thankfully I’m able to find it everywhere. This time we went to Starsky in Mississauga and to my surprise the rhubarb was already cleaned and washed, and most importantly, it was young and fresh. Plus it was so cheap! 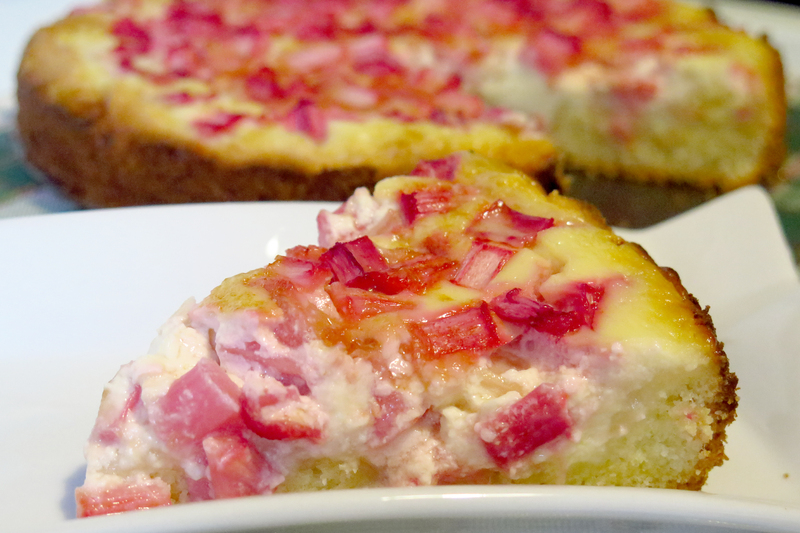 Did I mention that I love rhubarb? I got this recipe from a friend, when I saw her cake picture on Instagram, I could almost taste it, wow. The only problem was that I was on my week of diet. I only had fruits and vegetables, exceptions were eggs and rice, so I had to wait 6 days to make it. Was it ever painful. Both, the diet and the waiting, but I did it and when Saturday finally rolled in, I was happy to make it and it was so worth the wait! It was an Estonian recipe and all the recipes are in grams, not in cups so I had to weigh everything and then convert it to cups for the local readers. 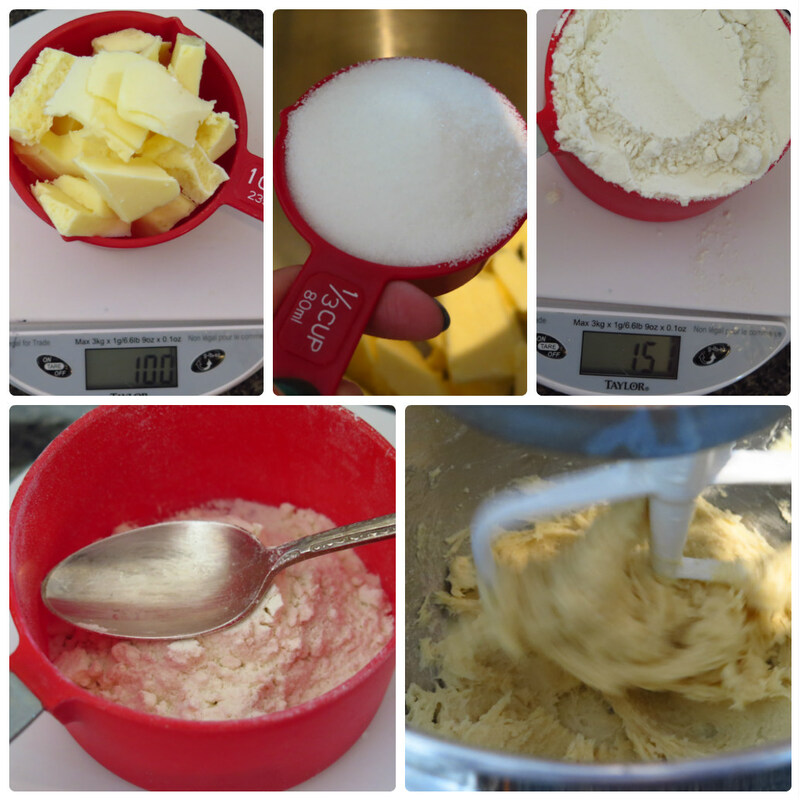 If you have a scale, please use the original recipe, if not I will add the conversion in cups. Original recipe from NAMI-NAMI webpage. PREP+COOKING TIME: 20 min + 30-40 min. The recipe said 30 min for baking but mine was not ready in that time. Mine took 40 min. *If you don’t like rhubarb, use whatever berries. I assume it would be awesome with blueberries or raspberries. I will try it in the future. Step 1. 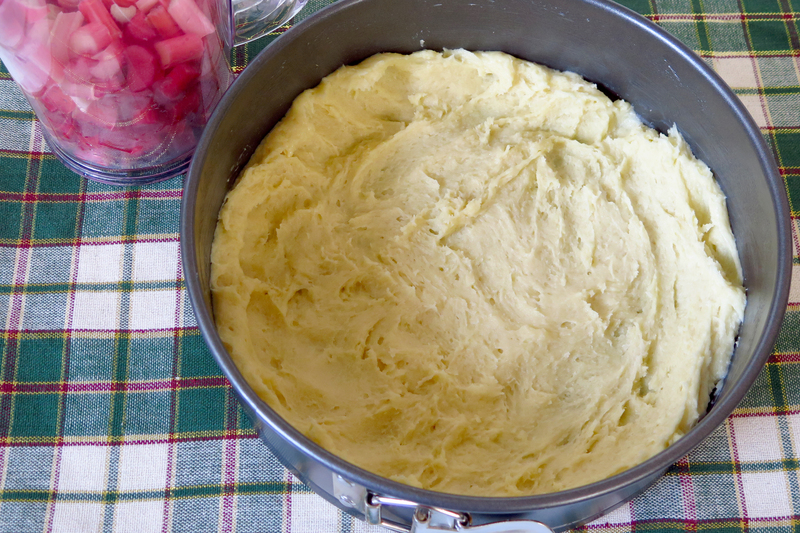 Thoroughly mix soft butter with sugar, add sour cream, egg, flour and baking powder. See below the cup measurements in pictures. Step 2. 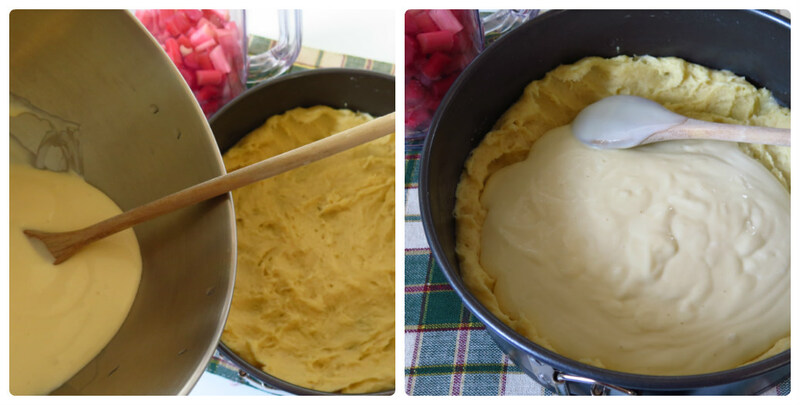 Cut your rhubarb into little cubes, about 2 cups worth. Step 3. Start making your filling. Mix everything together, the order of ingredients is not important. Step 4. Pour the filling on top of your dough. Step 5. 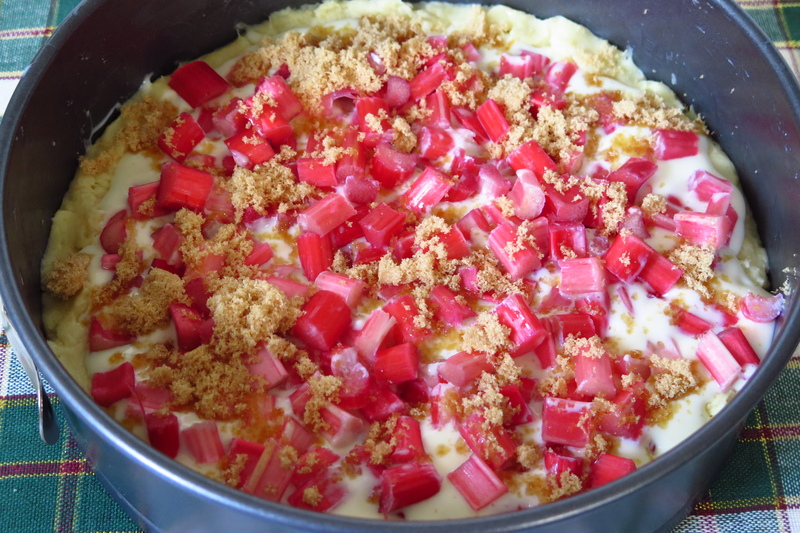 Add the rhubarb on top of the filling and gently press it down. Sprinkle it with brown sugar. Step 6. Bake in middle rack of oven for about 30-40 minutes, until the dough is golden and the filling is semi firm. Let cool for about 20 minutes and then remove the edges, if you can wait that long 🙂 Filling will set fully once cooled. Happy Victoria Day to all Canadians! A perfect day for baking!